new season after the cold winter ends in Afghanistan. 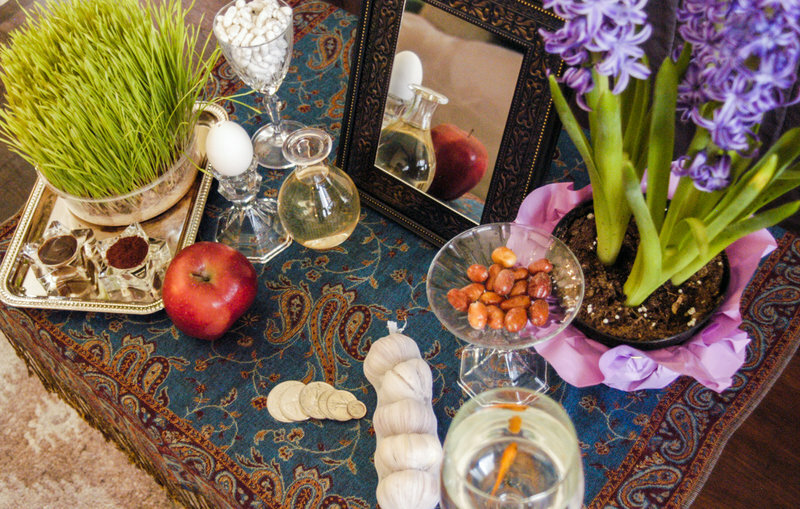 Nowruz has been celebrated for the past three to four thousands of years and the UN’s General Assembly in 2010 recognized the International Day of Nowruz, describing it a spring festival of Persian origin. Nowruz is an event of happiness and the people of Afghanistan enjoy this day with family gatherings, special dishes, wearing new cloths and other customs. Undoubtedly, Nowruz gives the message of peace, prosperity and unity but during the last forty years of conflict in Afghanistan, the people of the country have never been able to celebrate it with full spirit and true happiness. Every year of the past four decades has been a year of bloodshed, violence and destruction. Soviet invasion, civil war and Taliban took lives of thousands of Afghans and also their happiness and joys. On the occasion of the new year, every Afghan citizen eagerly wishes a day in which their children and youths could go to school, university or market without fear of dead and explosions. While both government and people repeatedly have called on Taliban to join peace process, but unfortunately, they have reacted with bombing and massacring the innocent people. President Mohammad Ashraf Ghani on different occasions, has time and again proposed to launch peace talks with Taliban without preconditions, offering to recognize the Taliban as a legitimate political group, and presenting a number of significant proposals to be included in a peace process and it was also welcomed by most people and international community, but Taliban has responded it with multiple attacks in several provinces. They have, however, insisted that they would talk peace only with aliens. Today, Afghans still suffer. Insurgency is still not letting them to breathe freely, let alone celebrating events such as Nowruz without launching terror attacks. Afghans are preparing to celebrate this New Year at time when their country is facing security and political challenges. The US-Taliban talks have raised concerns among Afghan masses, since the outcome of the talks were no shared with the Afghan people and government and there are fears of losing the achievements gained in the last 18 years. Indeed, the real and meaningful New Year for Afghan people is the day when everyone can breathe a sigh of relief in a democratic and secure environment. Likewise, the happiness will be meaningful for the people when the breadwinners are not worried about a morsel of food and when people are no more fear of having their earnings snatched by insurgents, armed and powerful individuals. Despite of continued attacks by the militants against the Afghan people, the country could celebrate its national festivals and days with enthusiasm and people’s mass participation in each and every program have sent a harsh response to the insurgents that they are not giving up. Regardless of heart-wrenching incidents, the Afghan masses would never give up for having a peaceful and stable Afghanistan. Sign of hope with hard working are budding on a daily basis among Afghans, especially to young generation. Hope is still alive in Afghanistan, and the people’s struggle would bear result in war on terror the same as socialism and colonialism which were defeated by Afghans.